At RDK Concrete Cutting & Coring Inc. we offer core drilling to assist our customers needs. Core Drilling is a method used to create a circular hole within a concrete structure. 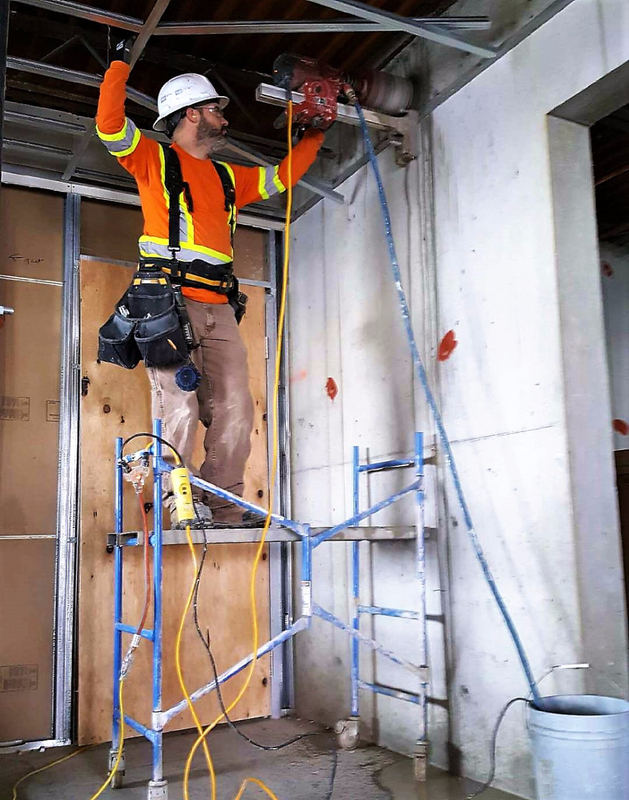 This type of concrete cutting is especially useful for electricians and plumbers to run their piping and wires through existing concrete walls or floors. We are able to core holes up to 24 inches in diameter.